This week saw the Star Wars Identity exhibition opening, The Hilton Dalaman give an update on the destination's offering, and The Brewery host the Knowledge Guild conference. 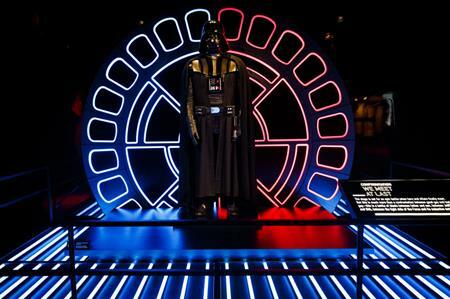 Last Friday (18 November) events professionals flocked to the opening of the Star Wars Identities exhibition. The exhibition, which will be available for corporate events, features an exclusive collection of 200 props, models, costumes and artwork from the original Star Wars films, as well as an interactive identity quest, and scientific content. Themed food and drink menus included Star Wars-inspired canapés, bowl food and desserts, with dishes such as beetroot and red cabbage galactic jelly, Monterey Jack Cheese and Ham Solo sandwich, Duck Matter quinoa salad, Milky Way caramel and honeycomb clusters and Darth by Chocolate. On Tuesday (22 November), to celebrate the completion of its €30m refurbishment, Forte Village Resort, Sardinia, invited event professionals from the likes of Clive, Green and Pleasant Events and Pure Events for a dinner and presentation of the new developments at Gordon Ramsay’s Maze restaurant in Mayfair. Dining in Maze's private space, the Hampton Room, which can seat up to 40 guests, the group enjoyed samples of the restaurant's sushi plates, while a magician provided entertainment in-between courses. The Hilton Dalaman Sarigerme Resort & Spa hosted an exclusive event on Wednesday (23 November) at the Roof Gardens, Kensington, to celebrate the hotel and update guests on the latest property and destination news. Members of the travel trade, media, and staff from the Hilton Dalaman enjoyed an evening of drinks, canapes and dancing with a guest appearance from Carpi, the hotel’s turtle mascot. The Brewery, in partnership with Speakers Corner, hosted the latest instalment of the Knowledge Guild conference series with a review of 2016 on Wednesday (23 November). The panel included former Labour Party cabinet minister Douglas Alexander, leading futurist Richard Watson, and Kevin Gaskell, former MD of luxury car brands BMW, Porsche and Lamborghini. Topics ranged from the year’s major political decisions to the Rio 2016 Olympics and the unexpected events likely to impact the future. This included expert viewpoints on Brexit, the US elections and global financial crises. The audience of 100 were welcomed with refreshments and canapés. Following the debate, guests enjoyed after-dinner drinks and dessert bowls, while networking with the panellists. Members of The Personal Finance Society gathered at Wembley Stadium yesterday (24 November) to hold their National Financial Planning Symposium, London. TFI Group organised entertainment areas related to football, including football freestylers, a chance for delegates to score a goal and win prizes, and a chance to meet and get an autographed football by England’s most capped footballer, Peter Shilton OBE. In the evening, Wembley Stadium was also the venue for the Personal Finance Awards, an evening of celebration of excellence in finance that welcomed around 400 guests. Five Agencies to Watch in 2016: How did they fare? Week in Pictures: Star Wars exhibition Personal Finance Society London Symposium The Hilton Dalaman Sarigerme Resort &amp; Spa The Brewery Knowledge Guild conference.